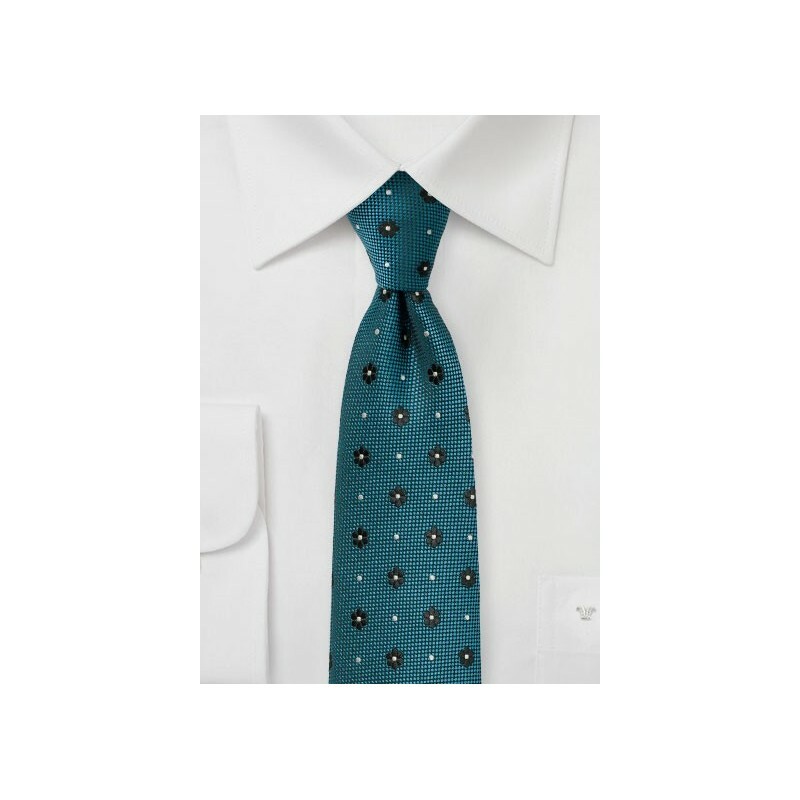 This teal green tie must have been designed with the solid black shirt in mind. 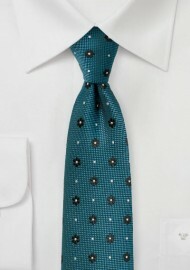 The teal-green color is decorated with an embroidered floral and polka dot design in charcoal and silver. A fantastic tie for solid black shirts and gray or charcoal suits. Made from a woven microfiber with a matte finish and slim width.